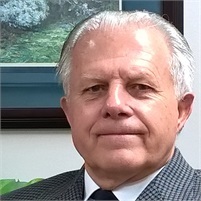 Rick Hildenbrandt graduated in 1973 from Ohio University's School of Engineering and Technology with a Bachelor of Science in Technology. Rick worked as an engineer with Industrial Instrumentation, Inc. in Albany, NY starting in 1973. He later became that Company's CEO in 1987 and eventually sold the business in 1998. During that period, Rick was President of the Mechanical Contractor's Association of the Capital District. Rick graduated from the College of Saint Rose's Financial Planning Certificate Program approved by the Certified Financial Planner's Board Standards. From 2000 to 2014 Rick was a Financial Advisor with Waddell & Reed and now is an Advisor Associate in the Albany Office. He lives in Colonie, NY with his wife of 35 years and has two sons. He enjoys the weekends camping with his family in the Adirondacks.